Home Tags Posts tagged with "akita dog"
Vladimir Putin has declined to accept Japan’s offer of an Akita dog as a gift, according to a Japanese lawmaker. Koichi Hagiuda did not give a reason as to why the gift had been rejected. Japan gave the Russian president a female Akita called Yume in 2012. This dog was intended as a companion for her. If accepted, the gift would have been presented to Vladimir Putin at a summit with Japanese PM Shinzo Abe in Japan next week. Akita dogs originate from northern Japan. Vladimir Putin also owns a male Bulgarian Shepherd called Buffy, which was given to him by the Bulgarian prime minister in 2010. His Labrador, Konni, given to him as a gift by Sergey Shoigu, currently Russian defense minister, died in 2014. 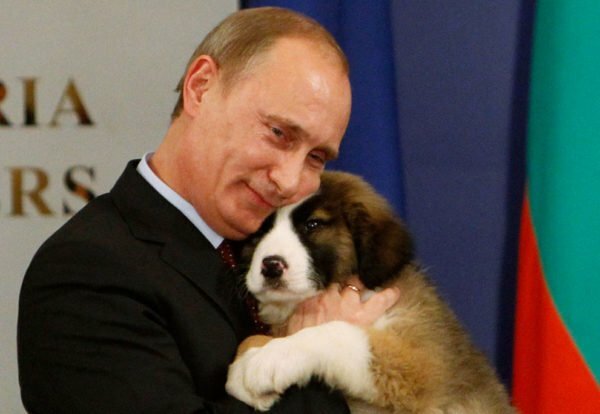 Vladimir Putin once brought Konni to a meeting with German Chancellor Angela Merkel, who is scared of dogs. Some press reports at the time said he had done so to intimidate her. But earlier this year, he told a German newspaper that he did not know about Angela Merkel’s fear.